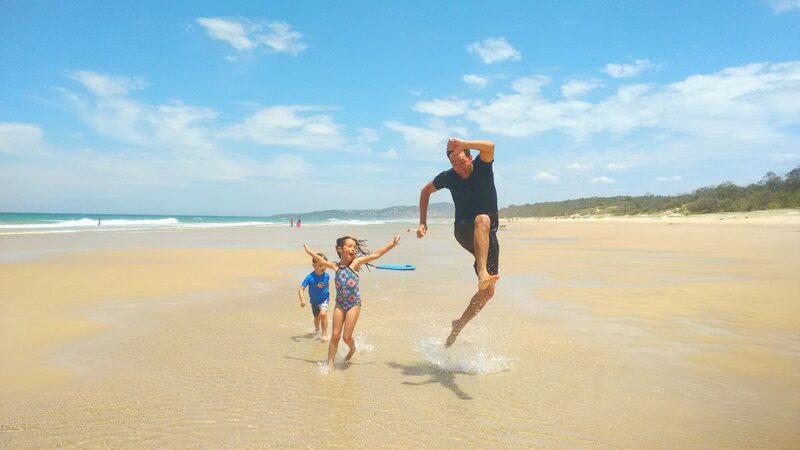 One of the easiest activities when on holiday with kids is arguably spending the day at the beach. 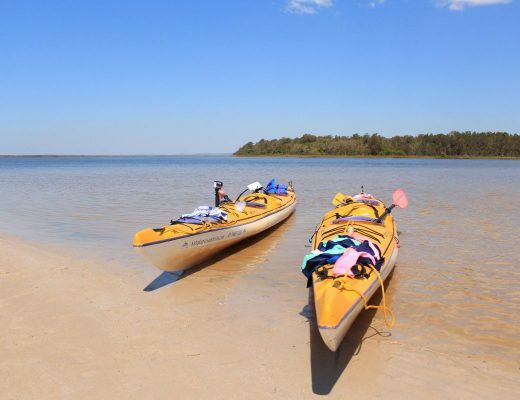 But the Sunshine Coast also offers a plethora of other activates that are sure to keep the kids entertained and are ideal for either a rainy day or when you want a break from the sun, surf and sand. 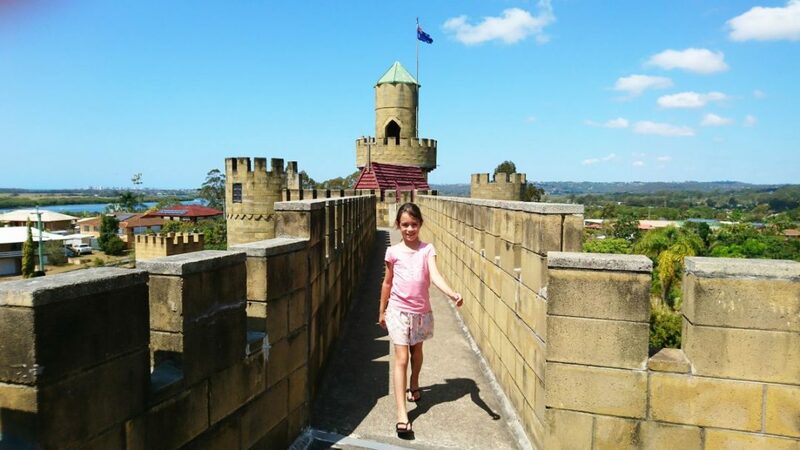 Who would have thought you could find a castle on the Sunshine Coast? But in the centre of the little town of Bli Bli that’s exactly what you’ll find. Built in 1972 by a local Scottish couple, Sunshine Castle is located on the David Low Way and initially housed a fairytale doll collection. Over the years the castle has changed owners and direction, and is now a medieval museum and function venue – although it does still have a doll collection and model railway as well. It is a wonderful building to walk around and offers stunning views from the top of the various towers. Great fun for the whole family. Bellingham Maze offers a beautiful 80×80 metre star-shaped lilly pilly hedge maze which was re-opened in March 2015 after the hedge maze was regrown. Our kids enjoyed the Dwarf Quiz (there is also a Harry Potter quiz) as they wandered around the maze. Other activities include a rope maze, tyre maze, a wooden maze with a scrabble game, and a flat, 2 par mini golf course. Brain teasing puzzles are also available to play with on the tables in the on-site cafe. 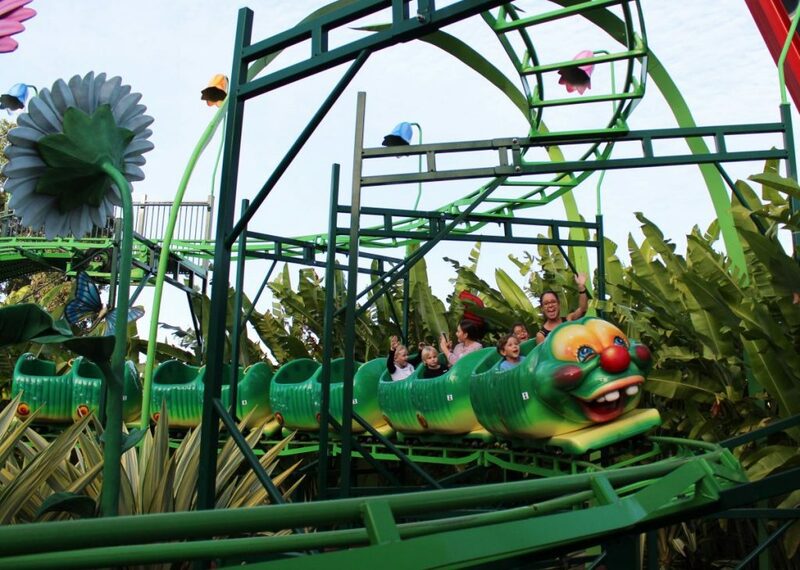 The Sunshine Coast’s own theme park, Aussie World is a great day out for those seeking a few thrills. Attractions range from The Redback and The Wasp for the more adventurous at heart, all the way down to classic carousels and train rides for tiny tots. 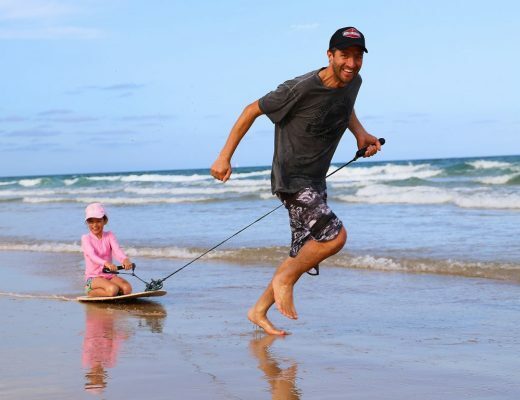 What we love most about Aussie World is the range of rides for all ages and the short (and often non-existent!) queues. Access to rides is based on height, and you will find young children still able to go on many of them with an adult. From June until October each year a number of working strawberry farms around the Sunshine Coast open their patches to those who want to pick their own berries. It’s a great way to get back to basics and the strawberries really do taste that much sweeter straight from the patch. For full details on where to pick your own, read our article: WHERE TO PICK YOUR OWN STRAWBERRIES. 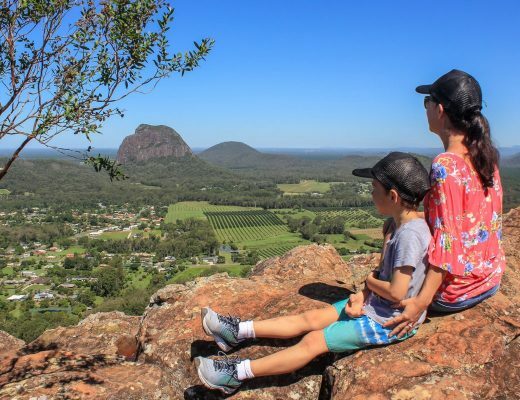 You might not have given Opals Down Under much of a thought as you passed by on the Bruce Highway, but this place is a hidden gem if you have children that love nature, digging and the idea of fossicking for ‘precious gems’. 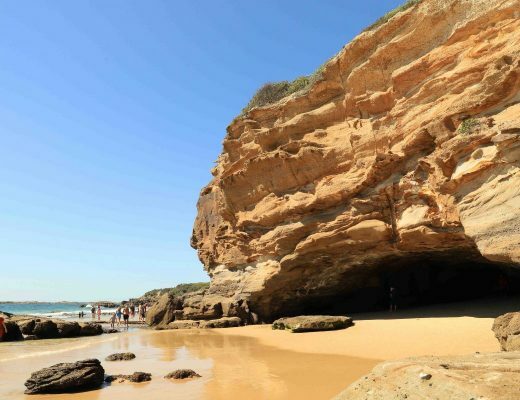 Our kids love it and it’s a regular on our school holiday schedule! 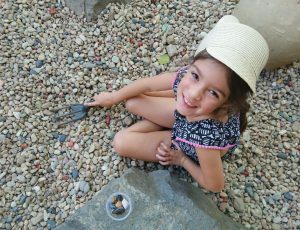 For a small fee ($8 for the small container) you are given a container and let free in several fossicking pits where semi-precious stones have been scattered around in the dirt and other normal rocks for you to uncover. Expect to get a little messy and take water bottles as it can get hot, but you will come away with a container full of a wide range or beautiful coloured stones. There’s also a little garden area that includes a couple of dinosaur statues where you can have a picnic. Another firm favourite in our family is the The Ginger Factory which offers a fun day out that can be as relaxed or packed as you want. You can access the beautiful rainforest gardens and playground for free, and it’s definiely worth going for a wander through the gardens. 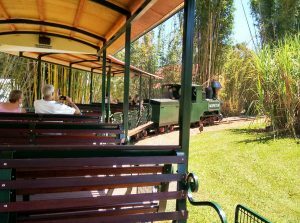 But you can also buy tickets to ride Moreton – the Ginger Train (a 116-year-old former sugar cane train) or Overboard, which is an indoor boat ride that tells the story of the Gingerbread Man as he races around the world being chased by two bakers (it reminds us a little of the Disney ‘It’s a Small World’ ride). Both of these are great if you have young children. You can also buy tickets for a tour of the actual ginger factory and/or to see a live bee show where you see the hives in action. 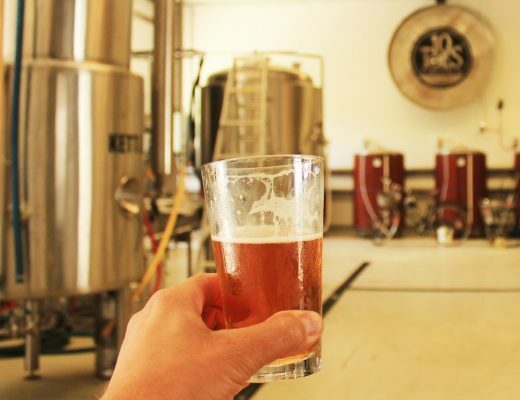 Both tours come with delicious tasting sessions and it’s amazing to discover just how much of the world’s confectionary ginger is produced by Buderim Ginger. We’d recommend the tours for slightly older kids – our daughter, in particular, loved the bee show! 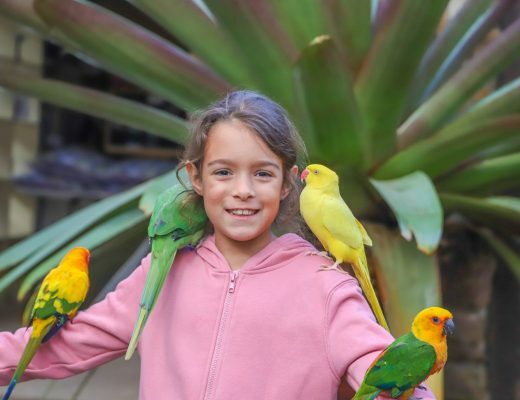 Arguably one of Australia’s best known zoos thanks to its founder Crocodile Hunter Steve Irwin and the Irwin family, Australia Zoo is a destination in its own right. 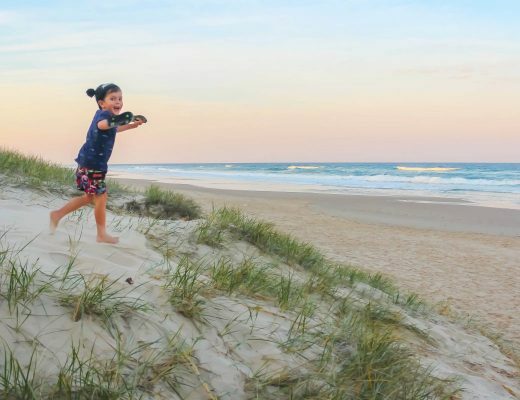 The range of animals is incredible and includes everything from the native Aussie animals you love and expect, to farm animals and camels, to giraffes, zebras, rhinos, tigers, red pandas, lemurs… and the list goes on. But what most visitors are probably most drawn to are the awesome crocodile shows that the staff put on throughout the day. 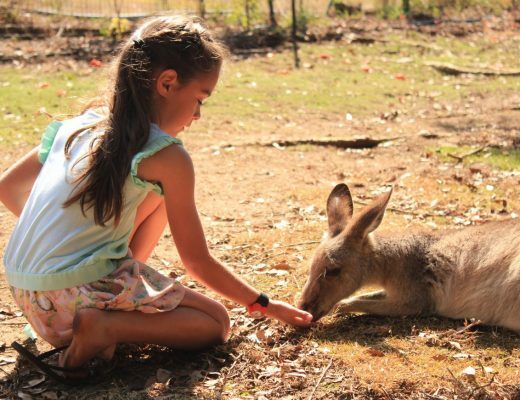 Yes, there is another zoo on the Sunshine Coast and it is equally awesome! If you want a slightly more laid back zoo experience, WildLife HQ Zoo is the place for you. 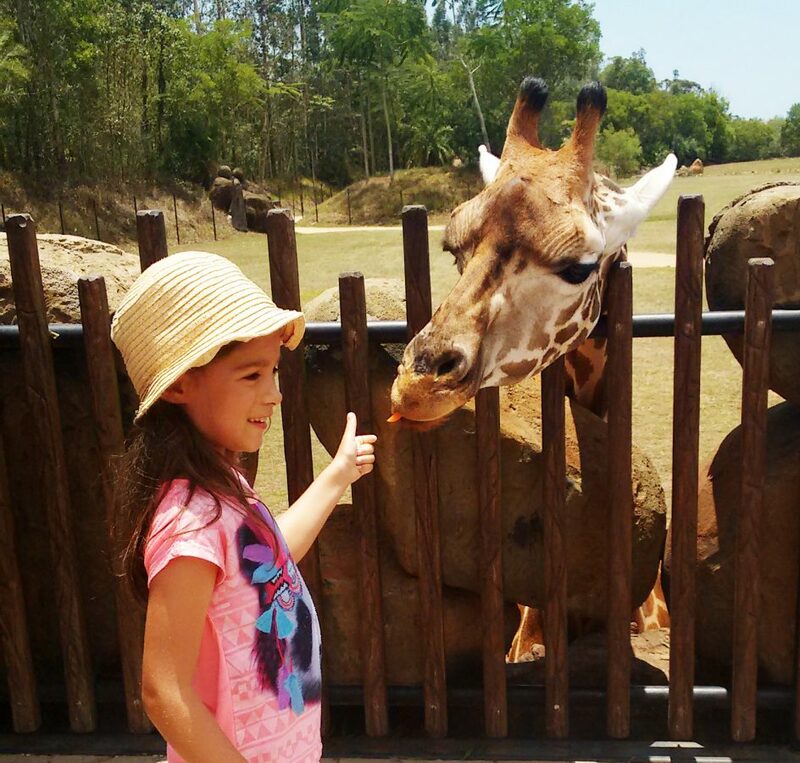 We absolutely love this zoo for its range of animals and friendly, rustic vibe. For all the details, read our article: WHY WILDLIFE HQ SHOULD BE ON YOUR ‘MUST VISIT’ LIST! 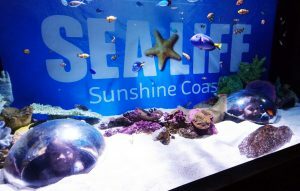 Formerly known as Underwater World, SeaLife Sunshine Coast is part of the Merlin group. The aquarium is yet another firm favourite with our kids. It has recently undergone a few upgrades and changes, and now includes an indoor playground and an educational area with displays that feature the characters from the Octonauts TV show. The highlight is the walk-through tunnel, where sharks, massive grouper fish and manta rays glide above you in the aquarium mere centimetres from your head. * Information correct at the time of publication.